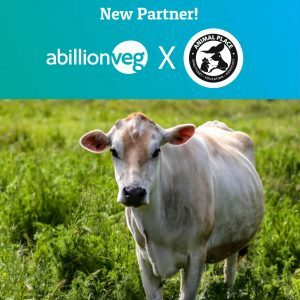 GRASS VALLEY, Calif. – Animal Place, California’s oldest and largest sanctuary for farmed animals, has been selected as an official partner of abillionveg, a start-up that’s working to inspire people to join the plant-based movement and get more businesses on board. 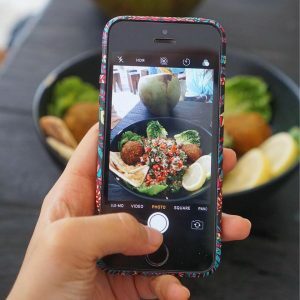 The company has launched a mobile app that helps people find and review vegan options, whether that’s the best vegan dishes in a city, or the latest vegan food and beauty products. As an official partner, Animal Place will receive a donation when abv members post reviews and select Animal Place for their free contribution. The innovative platform, which received $500,000 in seed funding in 2018, is reminiscent of platforms like Instagram, Yelp and TripAdvisor. The platform serves as a search engine built from consumer reviews. Members can search and review vegan menu options and products, interact socially, and encourage business owners to expand their plant-based options. “We’re combining technology with activism, connecting consumers and businesses to improve the availability of sustainable options and support those that are taking the lead”, said Vikas Garg, Founder & CEO of abillionveg. In the fourth quarter of 2018, the company sent more than 8,000 emails to business owners around the world with consumer feedback and custom tailored insights, and their goal for 2019 is to surpass 100,000 direct points of engagement. As members add their reviews, they have the option of selecting an animal rescue group to receive a donation. Every ten reviews raises $10 that abillionveg donates to one of its 16 animal rescue partners around the world. The company counts internationally renowned groups like Mercy for Animals and Sea Shepherd as partners, as well as animal sanctuaries from California to New York, and across the world to China and New Zealand. “California is at the heart of social movements around America and around the world, and we’re delighted to support Animal Place in Grass Valley, an amazing organization that saves lives and inspires and educates people across the state to be more compassionate and sustainable.” said Vikas Garg.